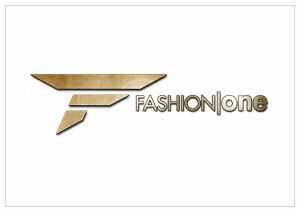 May 31, 2013, Miami – Fashion One LLC, the international channel for fashion, entertainment and lifestyle programmes, announced the partnership with Elite Model Management Barcelona, the prestigious international modeling agency, to broadcast Elite Model Look España on Fashion One HD Hispanic feed. Elite Model Look is an ideal springboard that has helped to make the leap to prestigious models as Nieves Alvarez, Cindy Crawford, Stephanie Seymour, Linda Evangelista or Gisele Bundchen. The search in Spain is being conducted through five auditions open to the public in Barcelona, Madrid, Alicante, Malaga and A Coruña. In June, the semi-final will take place in Madrid and then the final in Barcelona in July. The event aims to provide girls and boys the opportunity to enter the fashion worlds and have an international modeling career. "It is exciting to showcase these beautiful rising stars as they compete against each other to become the new faces of the catwalks, and we are looking forward to establishing a long term partnership with Elite Model Management. The programme is another example of our global, fashion-forward programming for women and trendsetters all over the world that love fashion and all that it embodies," said Ashley Jordan, CEO of Fashion One LLC. "We are proud and excited to be sharing our journey across Spain for this 2013 Elite Model Look Spain edition with a global fashion network such as Fashion One. It's a great opportunity for us to showcase the whole process of the contes - from scouting potential models in the street to training them for the National Final and leading them into a career of professional modelling to join the ranks of Constance Jablonski, Sigrid Agren and Joséphine Le Tutour, among many others." said Beri Colak, Elite Model Look Spain Coordinator. The Hispanic feed of global television network has been available in both SD and HD, utilizing IS-805 capacity at the 55.5 degrees West orbital position. The channel will cater to both North and South American markets by showcasing Latin American Fashion Weeks, along with an array of exclusive events, features and other localized content in Spanish subtitling and voice-over to accommodate the fast growing Latin American Pay-TV market.